Welcome to Britain, and welcome to Forza Horizon 4. 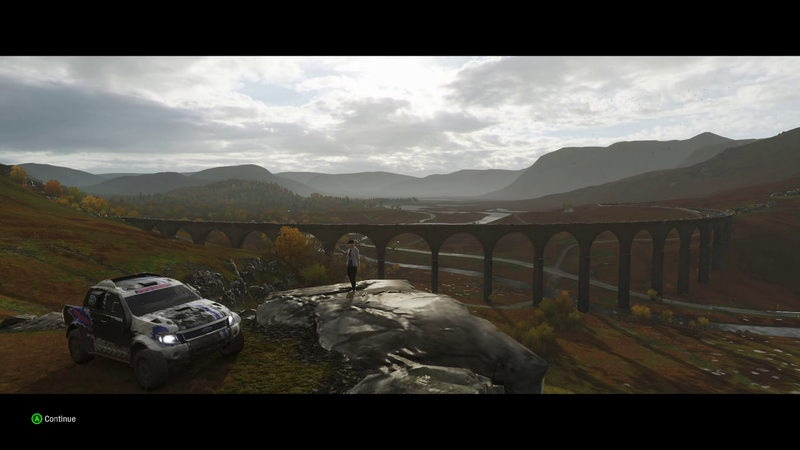 A very big thank you to the good people over at Microsoft Australia who have allowed us to try out all the beauty that Forza Horizon 4 has on offer a little bit early. Gone are the wide open, sunburnt plains of Australia, making way for the rolling green hills of the British countryside. Developer Playground games has shown off their own backyard with this instalment in a beautiful way. The rolling hills, narrow back roads lined with small stone walls and even the occasional flock of roaming sheep! Players returning to Horizon are not going to see a whole lot that they haven’t seen before, those new to the series are going to feel right at home very early on. But hey, if it aint broke, don’t fix it. 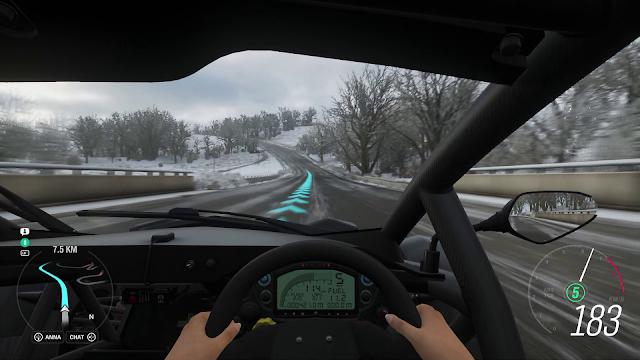 Controls feel to have been tightened up slightly from 3, probably due to now belting through small one way back roads. The core systems are still relatively the same. The map feels a little smaller and as yet I have only seen the main hub, doesn’t look to be anymore this time around. As previously the map is a mash up of Britain with parts of Scotland, England and Wales all on show. Even the odd flock of sheep can be found while belting through the countryside. Gameplay is somewhere in the middle ground between a arcade racer and sim, with all the usual driving aids that can be turned on or off depending on your preference. I've always found Horizon games to be more for the enjoyment than flat out trying to set a blistering pace, so keep that in mind, if you want a bit more ABS or stability on to help and let you feel like a badass drifting through corners, do it! The awards have been tweaked adding not only cars and cash for your winnings, but novelty horns, clothing and yes emotes. Nothing creepier than your avatar doing the Pennywise dance for a win…. Of course, the real stars of the show here are the cars, upwards of 450 of them. All beautifully recreated inside and out. For those of you with an artistic streak, liveries return with all the artistic promise that comes with them! Get out and create, because I cannot and love to use them! I'll stick to what I know, and that is the mechanical modifications. There seems to be a bit more availability of wide body kits for more cars and you can now get lift kits for 4WD's to turn into cross country weapons. You'll also notice a new suspension setup from Forza Motorsport in the drifting suspension. Time to get sideways! Just remember to tell yourself one thing... the VW Beetle you have put rally suspension on, 20inch rims and a 6.2ltr V8 while dressing it up like Herbie, was for science! For the first time in an open world racer experience dynamic season change. You need to qualify for each seasonal events, done by racing and raising your influence. Raising your influence can be achieved just by driving around, competing in events and races. Once you have qualified for these events seasonal change is done really well. Your seasons will be changing on a weekly rotation, think weekly challenge reset you see in other games. I only have one gripe so far and it is only a minor one. Each new season brings with it the corresponding weather but, this change in weather doesn’t really affect the driving. The only time you feel a big difference in grip levels is when you get on the sand. That being said, visually the different seasons are a sight in themselves. Autumn coats the scenery in oranges and browns, spring and summer are full of life, but the biggest change is Winter. Not only is there a fresh blanket of snow that varies in depth in parts, rivers and lakes freeze over giving you access to new areas and a new way to get there. Unfortunately at this early stage of the release I was unable to get into a lot of the multiplayer. 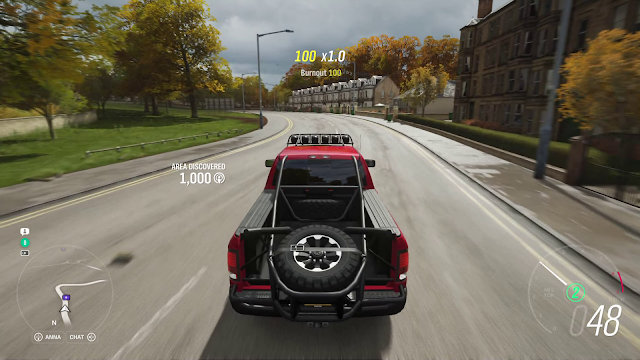 I have now progressed through the first part of Horizon 4 to be a full fledged member of the Horizon festival. You can set up events, unlock world activities and race with or against other teams. Plus the new chat feature is as simple as a push of the D pad to select. Overall Forza Horizon 4 gives a familiar feel with enough new tweaks and enhancements to have fans coming back and newcomers enjoying the jump off point. 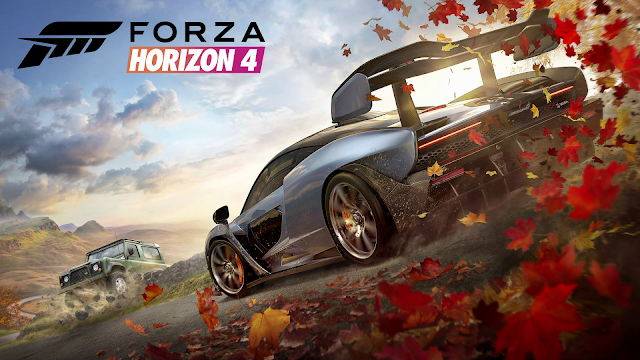 Forza Horizon 4 is releasing in Australia 2nd October 2018 on the Xbox One, One S and Enhanced for the One X.